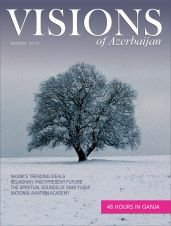 People born in Azerbaijan, wherever life takes them in the world, inevitably take a piece of their homeland with them. 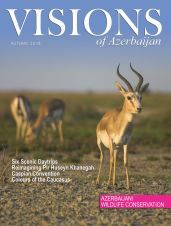 They may be surrounded by the trees of Central Park on a Sunday morning walk, they may pass by Trafalgar Square on their way to work, or look at the countless faceless ads in the Seattle subway, but being born in Azerbaijan, we all are united by one idea of home. It is in the way our culture adjusts the ordinary things or places and makes them our own. Ordinary places like our metro in Baku. One gloomy morning on the Seattle subway, while mindlessly looking out of the window at one of the stations, I randomly remembered the ones back home. Not a regular user, I always felt lost in what seemed like countless stations and was fascinated by people’s ability to navigate there. I’ll always remember the sound of an approaching train and the way the air from it rushed forward and gently swayed my hair, and how truly unlike any other was our subway. 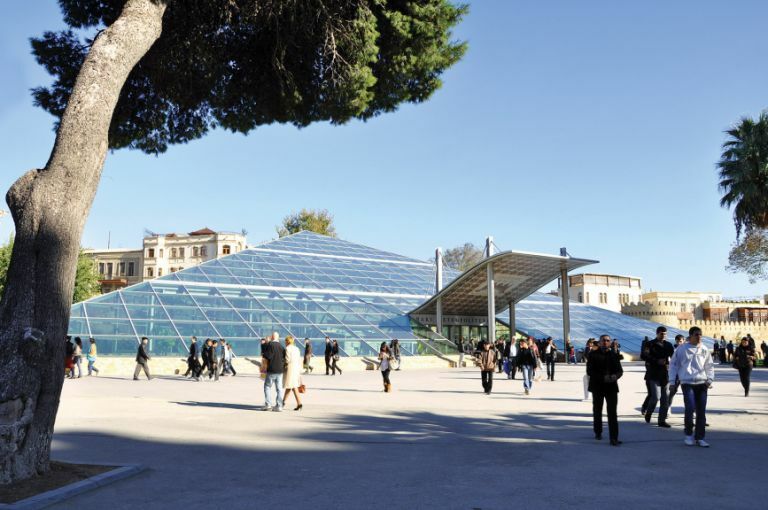 It was in the art on the walls and the melodies that greeted passengers at each station. And it has only taken me to graduate from high school and two universities to start investigating the history of our metro. The cars and roads may change in our city, but there are still places that preserve time. Unusual as it may sound, the metro is one of those places that says something very special about each city. It remembers the thousands of people walking through it every day for years, while they remember very little of the time they spend there. The approach to the concept of the metro around the world is quite different. 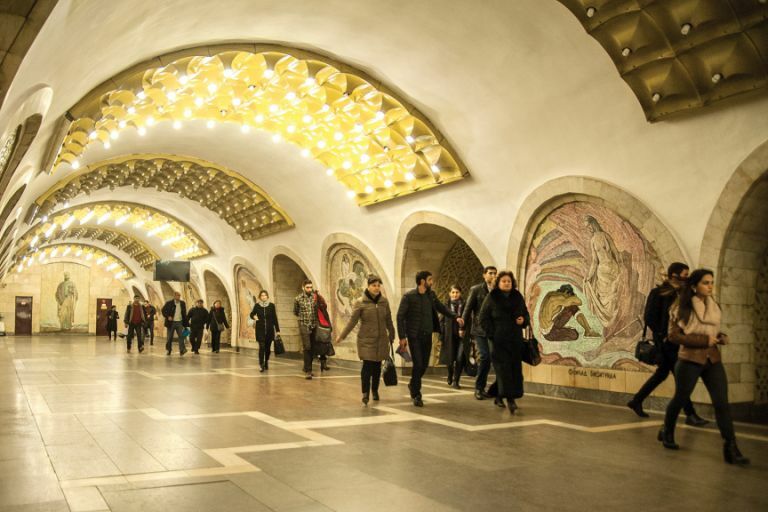 Our metro, in particular, remembers the history embroidered on its walls, and through the melodies that sound so soothingly familiar at each of this beautiful family of stations. In the rhythm of today’s reality, we have a tendency to overlook the things that are there for us every day and only in their absence do we start appreciating their role in our lives. Living far away from home for many years wiped my memory and senses of many things with which our city is rich. But now it is a truly unique experience to combine my knowledge of these places as a native with the re-discovery of them through the eyes of a foreigner. 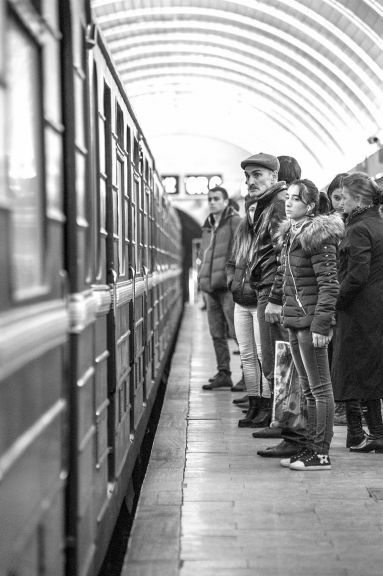 It was the approach to the whole concept of this method of transportation that differentiated the Baku metro. In other subways that I’ve seen, there wasn’t much to the design or the contents of the walls; it was just a transitional point for busy crowds, always out of time, always rushing somewhere. 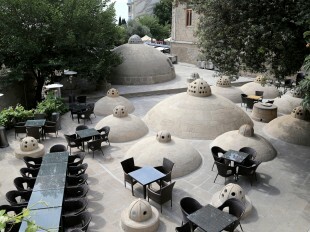 But when it comes to architecture, Azerbaijan has always found unique ways to bypass the ordinary. Our former president, Heydar Aliyev, emphasizing the importance of subway development, once said whilst addressing the nation, The subway is our national treasure, one of our most valuable treasures. 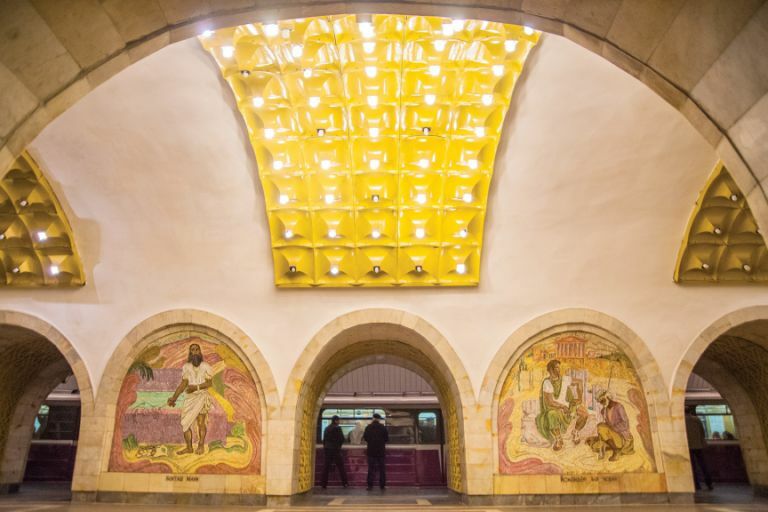 This wasn’t an accidental choice of words, referring to a mere subway as a national treasure, because the Baku subway is no mere construction, it is a work of art, created by the people for the people. Our nation inherited it from the Soviet times, when construction started. The master plan was developed in 1932 but due to World War II construction was delayed until the 1960s. 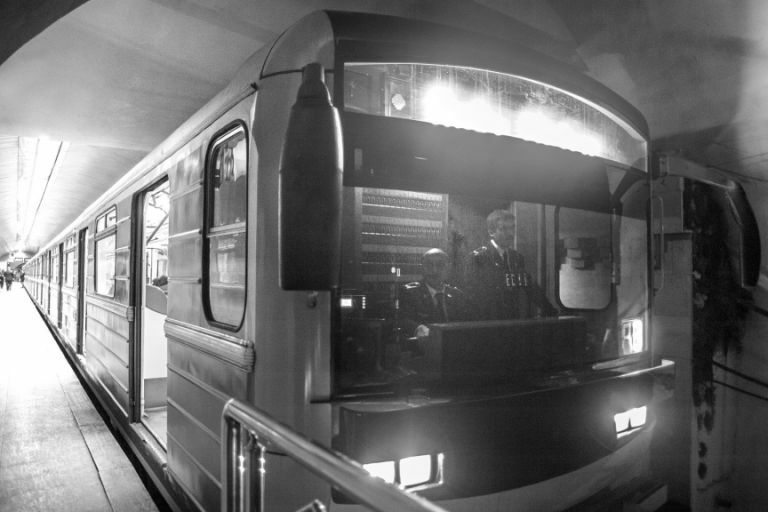 On 6th November 1967, the first test train travelled along the first five stations: Baksovet (now Icheri Sheher), 26 Baku Commissars (now Sahil), 28 April (now 28 May), Ganjlik and Nariman Narimanov. The length of this first sector of the first line was 9.2 km. More sectors, stations and overall kilometres have since been added, and now the two lines (red and green) currently total 34.6 km and 23 stations. The metro’s construction itself was done under very difficult hydrogeological conditions caused by the immense pressure of groundwater. The engineers that worked on the metro remember Heydar Aliyev’s frequent visits to the construction sites. One of the things many people always say about him is that no matter what it was, President Aliyev was always very knowledgeable about the site he was visiting. So it was with the metro. Wearing a protective hat and walking along the railways, he talked to workers, asking them about the progress, the equipment and if they had everything they needed. 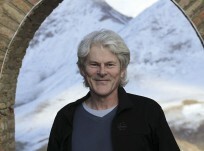 His attitude and presence were undoubtedly motivating. 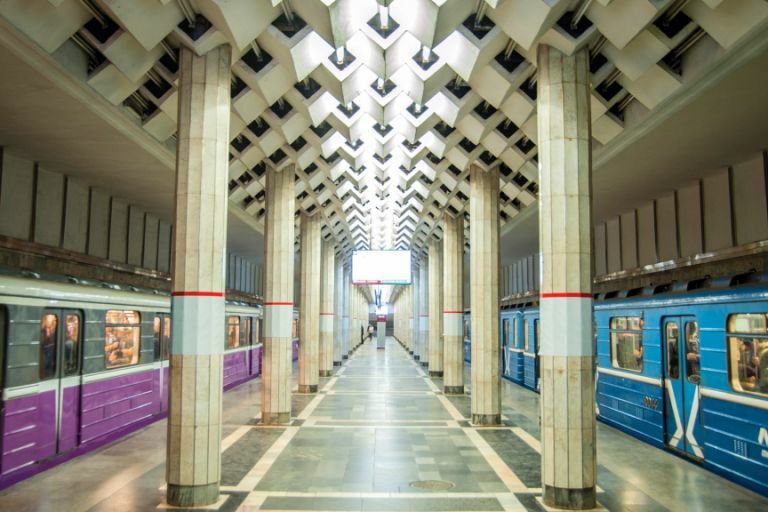 Compared to other subway systems in the former USSR states, a fundamental difference of the Baku metro is the absence of circular movement. Currently, there are just two intersecting lines and some stations function on both. Each station has light indicators showing the route of the approaching train. Since 1991, six stations have been renamed in a break from the past and to better reflect the history of the newly independent Azerbaijan. Shaumyan became Khatai; 28th April station - the day (in 1920) when Soviet power was established in Azerbaijan - was changed to 28th May - the day the republic regained its independence; 11th Red Army Square became 20th January; Aurora was changed to Qara Qarayev; Elektrozavodskaya to Bakmil; 26 Baku Commissars to Sahil. In recent years several plans to expand the metro have been developed, two of which have been approved and are currently under construction. 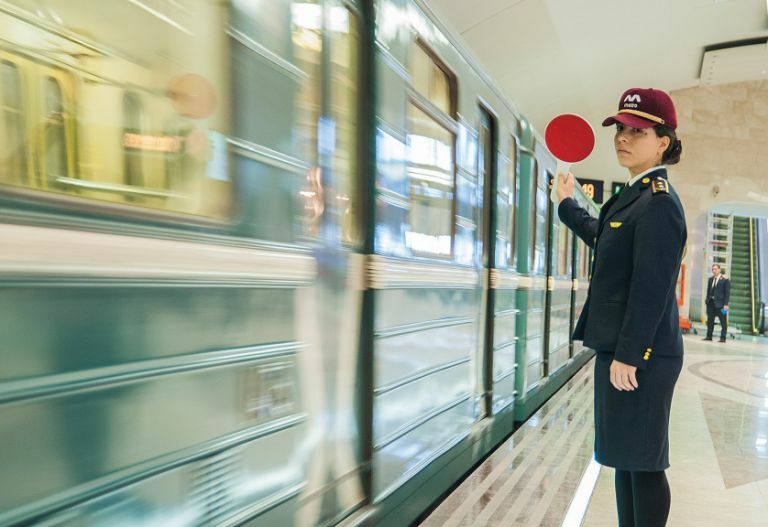 According to the Chief Executive of the Baku Metro, Taghi Ahmadov, 53 new stations are planned to be constructed by 2030 and the number of lines to increase from 2 to 5, bringing the overall length to 119 kilometres. Meanwhile, new trains are gradually replacing the old Soviet ones and Baki Kart travel cards have been introduced. 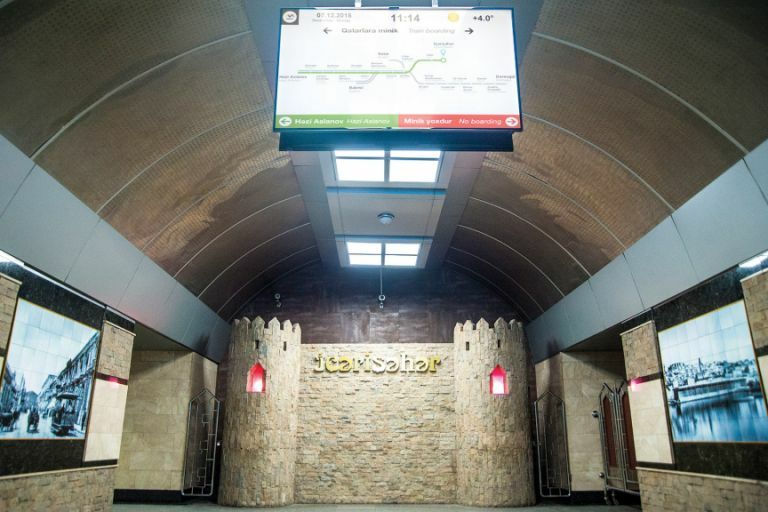 The names of stations may have changed, but what stays the same is the history and culture expressed on the station walls in the form of ornamental mosaics and heroes from Azerbaijani literary masterpieces. Nizami station alone is like a book, showing scenes from Nizami Ganjavi’s Khamsa. Murals at Khatai station depict Shah Ismayil and at Neftchiler station the mosaic art on the walls appropriately captures oil workers toiling hard. 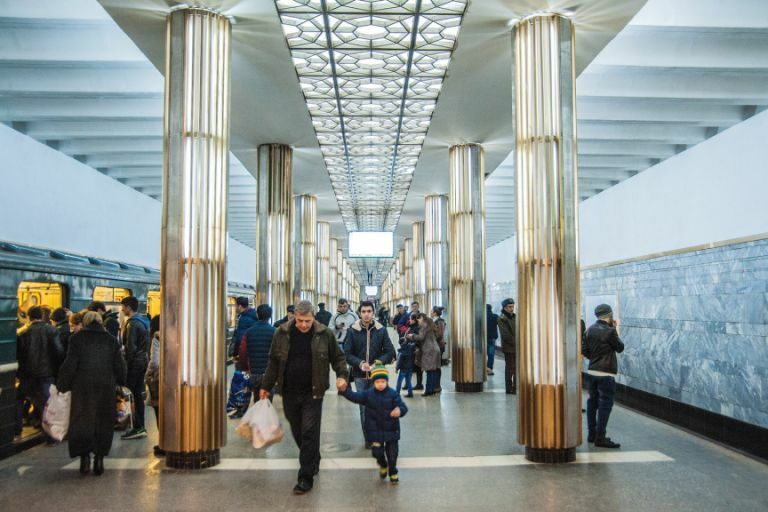 The futuristic ceiling at Ulduz station, the impressive marble columns at Nasimi and Qara Qarayev stations add a sort of modern charm and variety to this expanding family of stations. And even the trains themselves have a way of reminding passengers about the talents of this country. Arriving at each station, people hear a 10-second musical piece, which is followed by the name of the station. I could only remember one, called Yadindami (Remember), which played as the train approached Ganjlik (Youth) station. The song is about the reminiscence of youth and how the wheels of life are turning too fast. 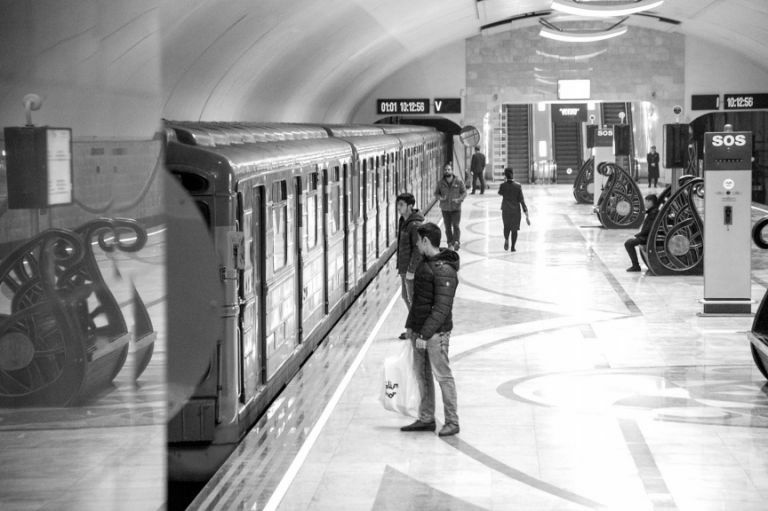 Connecting the song with the name of the station, I wondered how the rest of the musical compositions on the Baku metro were selected and what was their relevance to the station. 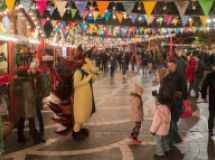 After finding the list of songs and performers, it became clear that the songs were as carefully selected as the names of the stations. People who choose the metro as their main means of transportation often don’t notice the beauty and value offered by each station. 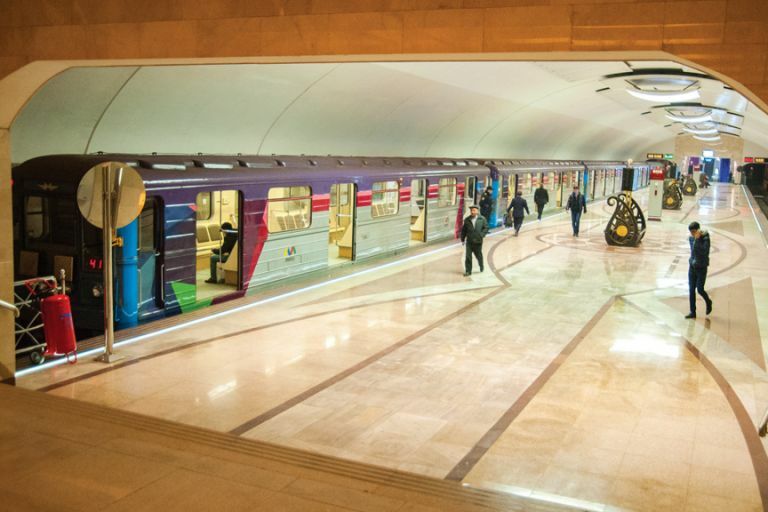 According to the Baku Metro administration, approximately 600,000 people use the metro daily in Baku. For years most will have heard those same melodies whilst rarely paying any attention to which station plays which melody and why. As the name suggests, this station reflects the spirit of the inner (or old) city, with its intricate details reminiscent of the fortress walls surrounding the Icherisheher. 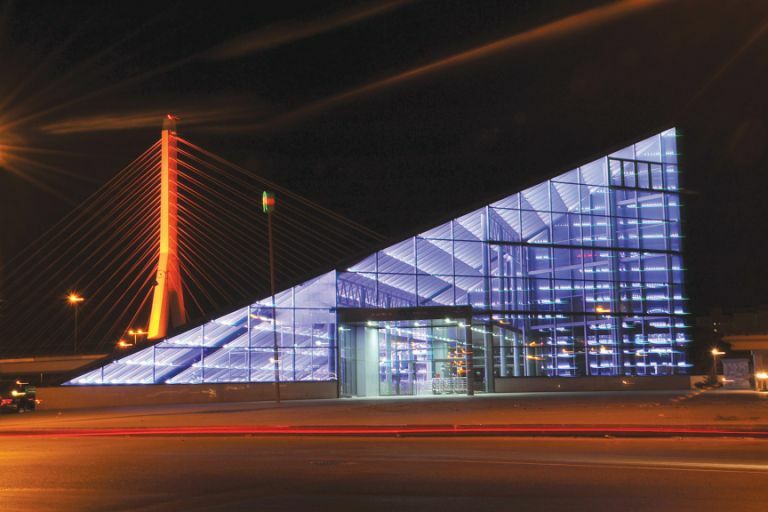 The station greets its customers with Bakı gecələri (Baku Nights) by Alakbar Taghiyev. The appropriately chosen Limanda (At the Port) and in particular the part Sən getdin, tək qaldım, bir liman, bir də mən… (You are gone, I’m left alone, just the port and myself) by Mirza Babayev is heard on all trains coming to Sahil (Seaside, coast) station. Arriving at 28 May station, we hear a short piece of the very famous mugham Qarabağ şikəstəsi. The next station is Ganjlik (Youth) where the song Yadindami (Remember) by Oqtay Aghayev is played. This is the piece that compelled me to start researching our metro songs. Finding this song proved to be truly a challenge. 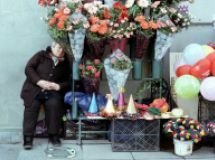 With thanks to the Baku Metro Administration, I discovered Güllərim ((My) Flowers) by Arif Melikov to be the soundtrack to Nariman Narimanov Station. the only ground level station on the Baku Metro, currently has no song attached to it. Originally called Meshadi Azizbeyov, this station played part of the song Arzu (The Dream), by Rashid Behbudov, but with the change of the station’s name to Koroghlu, the melody was also changed to the more appropriate Koroghlu overture by Uzeyir Hajibeyov. When you arrive at Qara Qarayev station, named after the prominent Azerbaijani composer, you get to hear a piece from his famous opera Yeddi Gozel (Seven Beauties, Waltz). Neftchiler mahnisi (Oil Workers’ Song) by Rashid Behbudov was featured in the film Bekhtiyar and is played at Neftchiler (Oil Workers) station. The part played is Dörd dost, dörd yoldaş, dörd qardaşıq biz, birdir arzumuz, əməllərimiz… (We are four friends, four pals, four brothers, united by common dreams and common deeds). The soothing sounds of Əziz Dost (Dear Friend) by yet another great Azerbaijani composer, Tofiq Quliyev, is played at Xalqlar Dostlughu (Friendship of Nations) station. At Ahmedli station opinions divide once more: some believe the melody is the folk song Evleri var xana, xana by Rashid Behbudov; others seem to agree that the singer is Rashid Behbudov but believe the song is Baki. Either way, both songs are exquisite examples of Azerbaijan’s rich musical culture. Hazi Aslanov is the last station in this direction. The music here was written by Qember Huseynli and the song is called Ay İşığında (In the moonlight). Going back to 28th May station and this time choosing to go towards Dernegul, the first two stations in this direction, Khatai and Jafar Jabbarli, are without music. Khatai was named after Shah Ismayil Khatai, the founder of the Safavid Dynasty and a renowned Azerbaijani poet; Jafar Jabbarli was a famous Soviet era Azerbaijani playwright, screenwriter and director. Nizami station is regarded as the most beautiful due to its mosaic masterpieces of Nizami Ganjavi’s Khamsa on the walls. 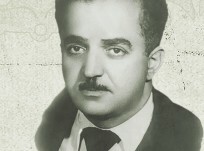 Sensiz (Without You), a ballad by Uzeyir Hajibeyov was chosen for this station. The station at Elmler Akademiyasi (Academy of Sciences) is surrounded by two universities (Baku State University and the Azerbaijan State Technical University), which makes this part of the city one great university district with students rushing to and from lessons, crowding the bus stops and lunch spots. It is only natural therefore that the song chosen for this station was Telebe (Student) by Telman Hajiyev. 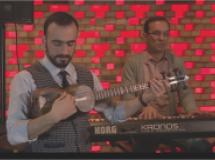 The most entertaining melody is Dağlar qızı Reyhan (Reyhan – Girl from the Mountains), performed by several prominent Azerbaijani artists including Rashid Behbudov and Zeynab Khanlarova, the music is by Fikret Amirov, lyrics by Telet Eyyubov. It is heard at Inshaatchilar (Builders’) station. The part we hear is: Nə qəşəngsən, ay qız. Gül çiçəksən, ay qız… (Oh girl, how beautiful you are, oh girl, you’re like a flower). A mournful piece from the Bayati-Shiraz mugham appropriately signals arrival at 20th January station. 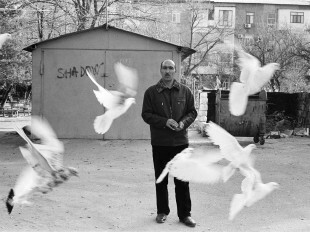 This date marks a day of mourning in Azerbaijani history. Over 130 civilians lost their lives as Soviet troops entered Baku on the night of 20th January 1990. The next station, Memar Ecemi (Architect Ajami), was named after the 12th century architect Ajami Nakhchivani and the melody here is a cantata from the opera Leyli and Majnun by Uzeyir Hajibeyov called Şəbi hicran. Gül acdı, bahar oldu (The flower has opened, spring is here) is a folk song that beautifully complements the comparatively new (opened in 2008) Nasimi station. 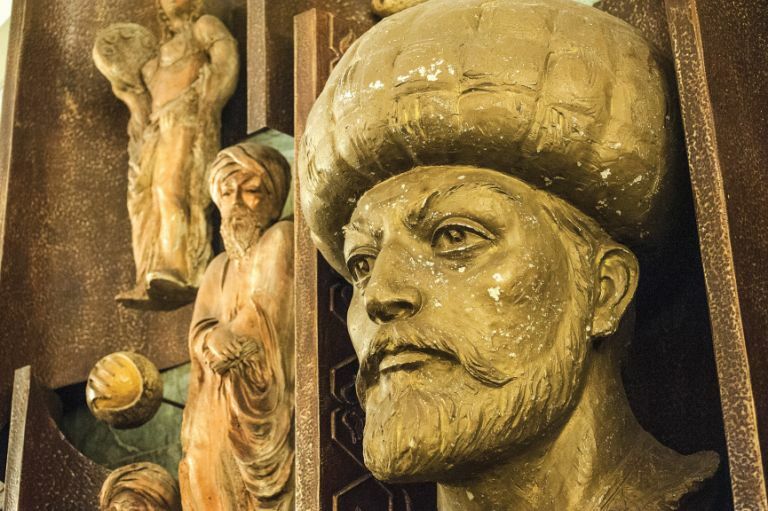 Imadaddin Nasimi was an outstanding poet and mystic of the 14th – 15th centuries who wrote in Azerbaijani, Persian and Arabic. Music from Cəngi – a national dance – is a cheerful welcoming to Azadliq Prospekti station (Freedom Avenue). With the soothing sounds of music written by Vasif Adigozalov, the song Baku greets us as we reach the 23rd station, Dernegul. Our identity is crucially important: the identity that is given to each one of us by the history of our motherland. 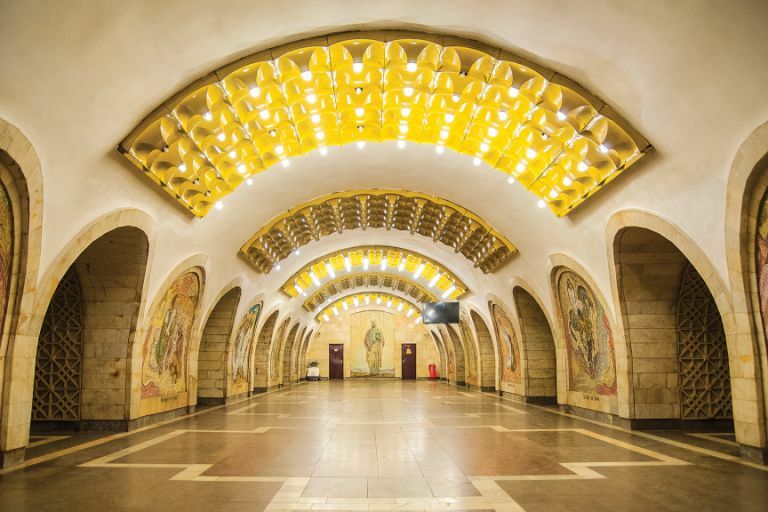 On the walls and in the music of each station, often overlooked by the rushing crowds, are masterpieces that hold a certain place and meaning for each individual born on this soil. 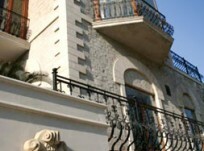 The musical pieces mentioned above are the jewels of Azerbaijani musical culture. It is only natural that they were included in a project of such high importance as the metro, so that the people who spend so much time there would knowingly or unknowingly be reminded of the cultural richness of our country. So that whenever they might find themselves on the metro, thousands of miles away, they would remember a metro so different, so very their own, while mindlessly looking out the window at an empty station in Seattle. 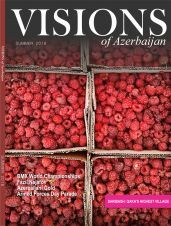 About the author: Camilla Rzayeva is a staff writer at Visions.